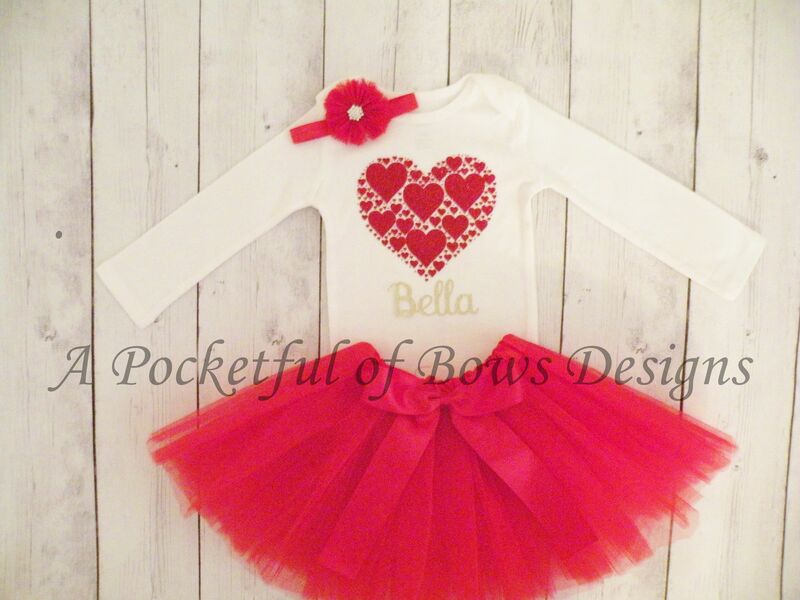 3 Piece Valentine's baby and toddler girl outfit. 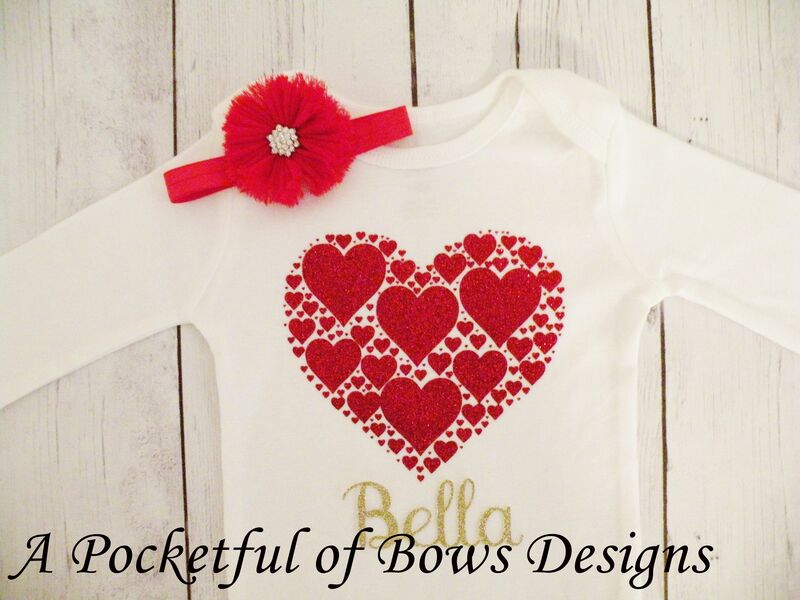 The top has a glitter red heart and your NAME choice in glitter gold. 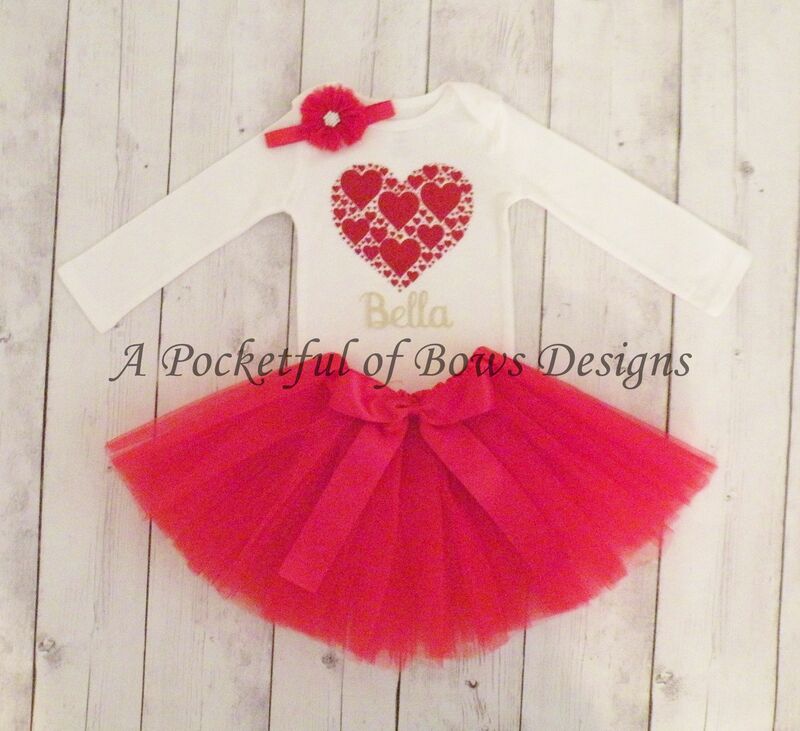 The tutu skirt is red with a red bow attached. 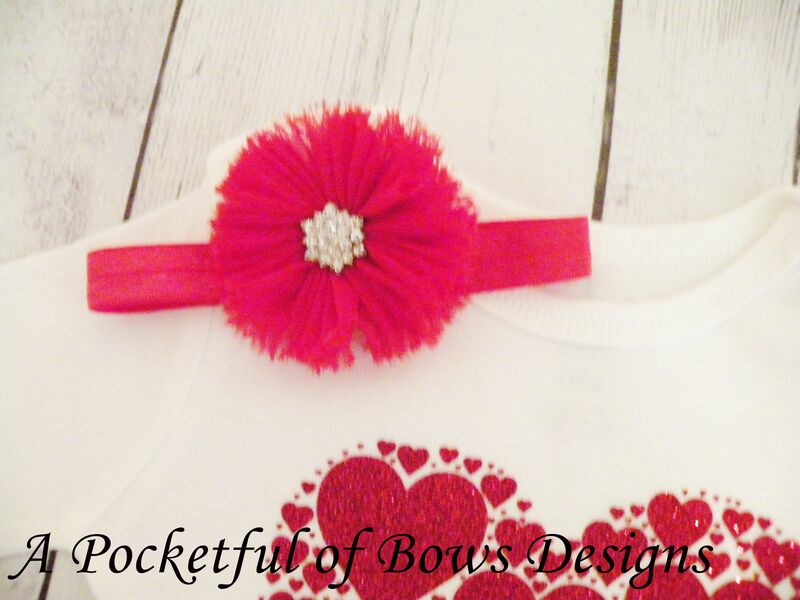 The Valentine headband is red with a flower with a gem center. Long or short sleeve available.